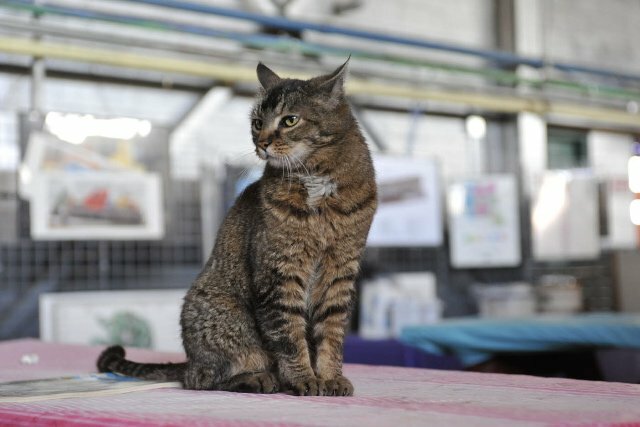 It is with much sadness and a heavy heart that we announce the passing of “Hotbox”, beloved shopcat at the Western Pacific Railroad Museum last evening. Hotbox has been a pet to all of us at the museum, as well as faithful visitor greeter, security, hospitality Director and companion to many who volunteer at the museum on a regular basis for the past 21 years. She lived a good long life for a cat and will be missed by all of us. Hotbox will be laid to rest out near the Picnic area and the balloon track this week.